The National Multiple Sclerosis Center is a revalidation center specialized in the treatment and rehabilitation of people with Multiple Sclerosis and other neurological disorders. The center consists of an in-patient department of 120 beds and an out-patient department treating 60 persons a day. About 75% of the patients attending are Dutch speaking and 25% are French speaking. Occasionally we also have patients who speak English, Spanish or Arabic. Most Belgians have a basic knowledge of English at least. The philosophy of our organization is to empower the persons with MS (PwMS) to become more independent and to enhance their participation in society. Besides physical revalidation, the center also has an important goal in social reintegration. An important part of this social reintegration, is the organization of various outdoor activities. Since most of the persons with MS need personal assistance, we are grateful we have several volunteers we can count on. Without them, it wouldn’t be possible to offer these outdoor activities. About half of the in-patient group receive intensive therapy (4 hours a day) and stay in the centre for 4 weeks. The other half of the in-patient group receive so called ‘maintenance therapy’ (1,5 hours a day). Normally it’s not necessary for this group to stay in the center during their ‘maintenance therapy’. Because in many cases the persons with MS cannot live at home due to severe physical and/or cognitive problems or there is a medical reason, the persons with MS who receive maintenance therapy do stay in the center. A lot of these persons need to find a place in a nursing home or a home for the elderly. Unfortunately these places are limited. Thereby some patients have to wait several months, in some cases even several years before finding a place for them to live. Awaiting a place in a nursing home, the persons with MS have a lot of spare time, which they are often unable to fill in a proper manner. Thanks to our volunteers we are able to offer entertainment. Also IMSO (International Multiple Sclerosis Organization), an independent patient and volunteer organization launched in 1980, active to promote participation and social integration of the PwMS, organizes several recreational activities, educational programs and fundraisings for supporting PwMS with extra costs related to their disease. 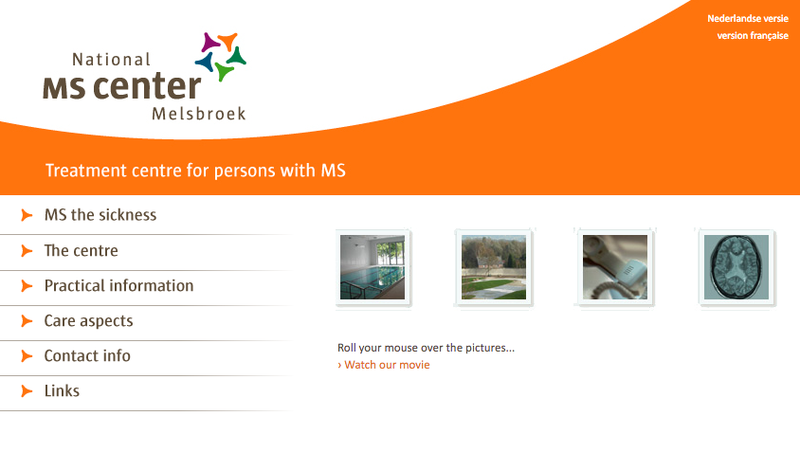 Our project ‘Bre@king the isolation’ of people with MS (PwMS), which was started in 2001 by the European Multiple Sclerosis Platform, has proven to be very effective, both for the volunteers and the PwMS. So the reason we want to carry out our project ‘Bre@king the isolation’ is actually twofold. From the past we’ve learned the presence of foreign volunteers is very valuable for the empowerment and (re)integration of our patients. So of course the quality of life of our patients is an important motivation to carry out our project. On the other hand we do believe our project contributes to several objectives of the Erasmus+ programma. Through this project volunteers are not only confronted with cultural differences, but they are also confronted with persons who are physically and cognitive challenged. Each patient experiences other challenges due to the disease, which means each patient is different. In order for our volunteers to get in contact with our patients and to ‘build bridges’, they do not only have to learn the language but will have to be creative in their ways of communicating. This is a process that enhances both the self-awareness and the self-reliance. In addition to that, our volunteers will have the opportunity to learn from both the patients and colleagues. Finally, after the volunteers have had the chance to get to know our organization, our patients and the colleagues, they can develop their own ideas and methods. In the past volunteers exchanging these ideas and methods with co-workers and vice versa, has proven to be very valuable and innovative. For several years we have welcomed volunteers from different European countries. Most volunteers experienced a positive year, saying they felt an important growth in their knowledge of the language and in their communication and social skills. All volunteers agree they felt very helpful and consider their contribution to our centre as meaningful because they received great gratitude from the patients and colleagues. The presence of volunteers in the Cybercafé and cafeteria as well as during recreational activities encourages the social integration of the patients and has therefore a positive influence on the quality of life of these patients. Since 2010 we have expanded the range of activities with recreational outdoor activities, such as going to the market and shopping, to diversify the offer. Of course all volunteers, as well as the patients, are free to propose new activities. The patients and their families are very pleased with the volunteers’ extra help and social contacts. Our organization has learned the added value of these social contacts between volunteers and patients is mutual, especially for the foreign volunteers. That’s why we encourage foreign volunteers to make contact with the local community, other volunteers from the EVS-project, etc. The project coordinator, who lives near the centre, introduces the volunteers to the youth bar and the youth movement. In addition, the project coordinator also points out the several leisure activities available in the village. For example the village has a local orchestra. So if a volunteer plays an instrument and is interested in joining the orchestra, he or she can! Finally, we register our foreign volunteers for a Dutch language course in addition to the online language lessons. The reason we keep doing this is because we’ve learned these language courses are very valuable for the integration of our volunteers. During these courses the volunteers get to meet other persons with different cultural backgrounds. What do we expect from future volunteers? Since the volunteer (participant) is expected to assist our patients in working with a PC, the volunteer preferably has a basic knowledge of MS Windows, office, the internet and of course social media, such as facebook. In addition, it is important for the volunteer to have an open mind and an assertive attitude. In working with our patients the volunteer will have to find a balance between helping the patient and encouraging the patient to be more independent. Besides the personal and technical skills of the volunteer, we also take the motivation and dedication into account. Finally, we believe the willingness to learn and the interest in our target population is crucial and we also focus on language skills. From the past we’ve learned volunteers experience a barrier in the execution of their tasks when their language skills are limited. In the selection process we always try to evaluate each candidacy in its entirety. The reason we tend to do this is because for example it’s perfectly possible that a candidate with limited language skills, has the right motivation and willingness to learn.